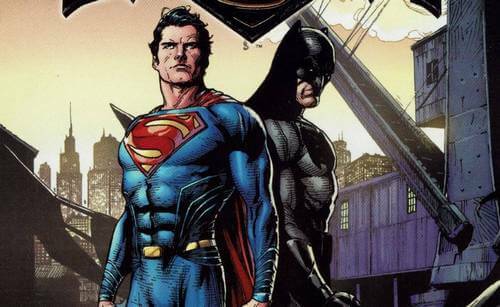 The World's Finests Battle - Batman vs Superman: the Battle of Beliefs! 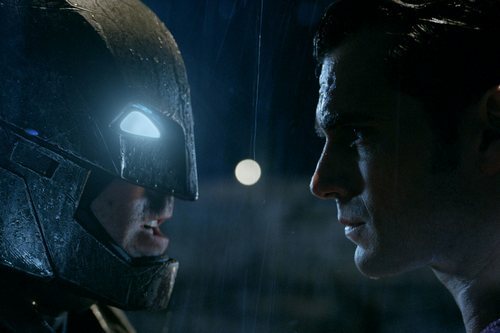 Home » Films » The World’s Finests Battle – Batman vs Superman: the Battle of Beliefs! Although Batman V Superman Dawn of Justice is not perfect movie as we expect, it gives quite an intriguing idea about our 2 great superheroes. 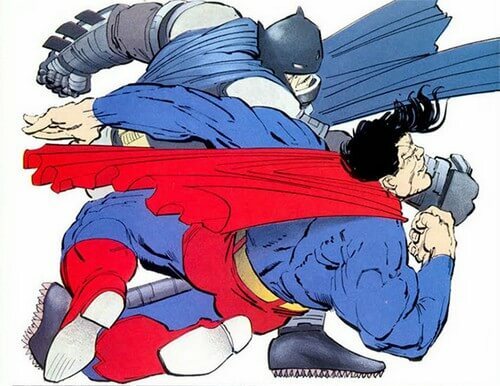 Batman and Superman, both are mostly seen as close friends, but they have actually fought each other in many different scenarios. In the movie we saw that Lex Luthor was responsible for this fight, but both Batman and Superman must already have some sort of conflict beforehand. Thus, by making use of this conflict, Lex Luthor successfully led these two heroes into a lethal battle. Such an interesting topic should not be missed and so let’s join us this time with Batman vs Superman, the Battle of Beliefs! 1. What happened in Batman V Superman Dawn of Justice? 2. Who’s Right and Who’s Wrong? Is Superman the true protector of the Earth? Is Batman needed in this world? Batman V Superman Dawn of Justice took the timeline after the Man of Steel in which Superman fight against General Zod. One thing important to note in this timeline is that: Superman and Batman were not acquaintances yet. The movie started nearly 2 years later after the catastrophic battle between Superman and General Zod. Even though Superman achieved victory against Zod, the damage dealt to Metropolis was too great that Batman couldn’t ignore. 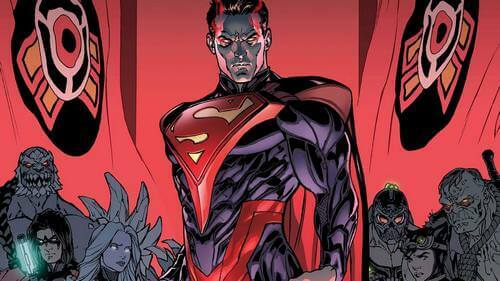 From Batman’s perspective, Superman might be the hero at the moment but he could be a dangerous threat in the future. Believing in his cause, Batman prepared a battle-suit and retrieved Kryptonite to fight Superman. Meanwhile, Superman was summoned to a Congressional hearing in question to his action since there are many citizens blamed him for the bombing. Lex Luthor also carried out his plan. He captured Lois Lane and used her to lure Superman in a fight with Batman. In this battle, Batman won, but later on realized Luthor’s true motive. Batman then went on to save Martha who was held captive, while Superman encountered a creature born from the DNA of Lex Luthor and General Zod with Kryptonian technology. Superman and Batman joined force to fight against this creature, along with the help of Diana Prince (also known as Wonder Woman). Despite the three’s effort, they couldn’t defeat the creature. Superman finally came up with the idea that both of them had the same weakness. Therefore he used a kryptonite spear and stabbed the creature, but the creature also stabbed Superman at the same time. The creature was defeated, but with the cost of Superman’s life. Though Superman was seen dead, at the end of the movie there was heartbeat sound at the grave where Superman was buried, along with the floating dirt surround it. According to the movie plot, it seemed that the movie took great inspiration from the DC comic The Dark Knight Returns written by Frank Miller. The most notable hint was Batman’s battle-suit which looked similar to what Batman in The Dark Knight Returns wore to fight Superman. In The Dark Knight Returns, Superman was more like a “worker” for U.S government rather than a symbol of hope for humanity. During this time U.S and Russia were in an arms race. Ultimately Russia launched a nuclear missile to U.S, but then stopped by Superman. However, the explosion from the missile sent the entire America into a blackout state. America was plunged into chaos, while back to Gotham, Batman (who was 60 years old at this time) and his gang managed to keep peace. As efficient as Batman’s work might be, the President felt this was like a threat to the government. He sent Superman to deal with Batman, but turned out Batman defeated Superman. But just before Batman attempted to “finish” Superman, he died due to his heart breakdown. As mentioned, in order to trick Batman and Superman fight each other, there must be some sort of tension occurred between them which can ultimately leads them to fight. Is Superman a true protector of the Earth? Back to the Man of Steel incident, though Superman defeated General Zod, the damage done to Metropolis couldn’t simply be ignored. By witnessing the destruction, Batman thought that it happened due to Superman himself. If Superman didn’t live on Earth then there was no reason for Zod to target Earth in the first place. In addition, later in the movie Batman perceived a vision of him commanding a rebel force against Superman. Batman was also warned by a mysterious figure that Lois Lane would be the cause for what Batman saw in his vision. This is highly a reference to Injustice: Gods Among Us‘s storyline. In Injustice, Joker succeeded in his plan to destroy Metropolis, including Lois Lane and Superman’s unborn child. This led to Superman’s breakdown; he killed Joker and decided to become the only one monarch to “protect” Earth. However, his “dream” turned out to be a tyrannical regime which enforce absolute rules on the world to his liking. He exterminated any sort of threats, even the slightest disagreement with teammate could lead him to murder. According to this scenario, Batman was the leader of a rebel force against Superman’s tyrannical regime. Batman and his rebel force had tried numerous times to stop Superman but all came for naught. Ultimately, they had to summon Superman and other Justice League members from another dimension into the world of Injustice to defeat the tyrannical Superman once and for all. It seemed from Superman’s perspective; Batman was like a shady vigilante. Superman, in the identity of reporter Clark Kent, tried to investigate Batman (as Bruce Wayne) in an interview sponsored by Lex Luthor. Later on, we saw that Superman stopped Batmobile and had a “mercy” warning for Batman, telling him to stop this Bat-work forever. This is mostly our subjective speculation, but Superman’s idea somehow aligned with the government’s order and law. If Batman could protect people by his own, then what would happen to the government? Batman’s vigilante work defied law, and eventually government’s authority. If people had believed in Batman more than government, the government would have lost its authority, thus potentially leading to chaotic society. This idea is similar to the one from The Dark Knight Return comic issues, as the U.S government sent Superman to finish Batman. 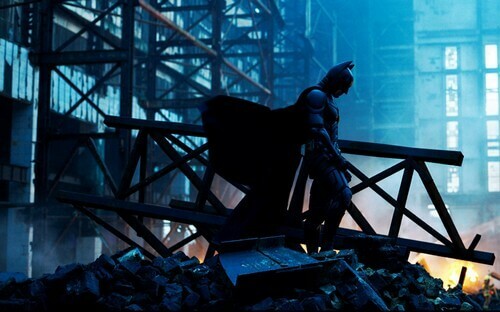 Back to the old The Dark Knight movie in 2008, Batman wasn’t truly considered as hero. In this movie, Batman was a vigilante, but an unwanted one. Joker implied that Batman was only needed when the citizens needed him to (in this case, a person who was capable of dealing with Joker). Even Jim Gordon also stated that: “he’s the hero Gotham deserves, but not the one it needs.” In dire situation, he would be hero, but afterwards, no one wanted him in the first place. Batman accepted this life, as a vigilante in the dark rather than a public hero like Harvey Dent, or Superman in the current movie. But as vigilante, he was able to do things that normal people couldn’t do, and for such reasons, Batman was the Dark Knight. But then, a question will arise: Will be Batman needed if there is a hero who can fulfill his role? Or to be more specific: Will be Batman needed when the world has Superman? Batman and Superman, both are heroes protecting the mankind and close friends. But in Batman V Superman Dawn of Justice, it put the two men into a scenario in which they’ve never seen or known each other. Both were heroes, each had his own belief in justice. And so, how each would accept and understand the other’s belief? Would they understand each other? Or would they fall into a deadly battle in order to prove justice to their rivals, and to themselves? But again, that’s just our opinion! What about you? What do you think about Batman and Superman? Feel free to share with us and for now, stay tune for more news in the future!